It’s a subscription beauty box with a curated selection of 5 – 6 makeup, skincare and hair must-haves. The price varies depending on the length of your subscription. I originally signed up to a 3 month subscription plan just as a trial but I’m completely hooked and have even requested a subscription plan as a Christmas Gift! Once you sign up you are able to create a beauty profile online so that the products can be tailored specifically to you. 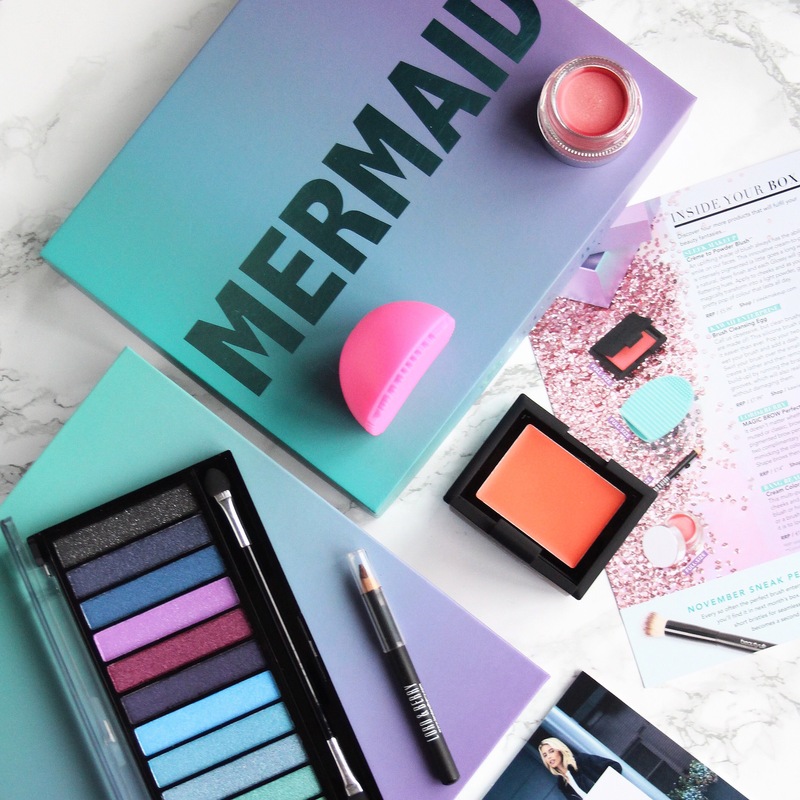 October brings yet another collector’s edition box and the theme was ‘Mermaids’ or ‘Unicorns’. If you would like to see what I received in my September box you can read my review here. I have a confession, I have never cleaned my makeup brushes. Just imagine if someone like Caroline Hirons is reading this post right now she is probably tutting away at my beauty faux pax. I put the Cleansing Egg to the test and have no doubt that if the residue that came out was tested you would find remnants of my very first foundation (circa ’98) in there! It literally looked like my makeup brush had been growing foundation dreadlocks! Appalling yes, but fret not I’m a changed woman thanks to this beauty tool. A fantastic selection of colours. 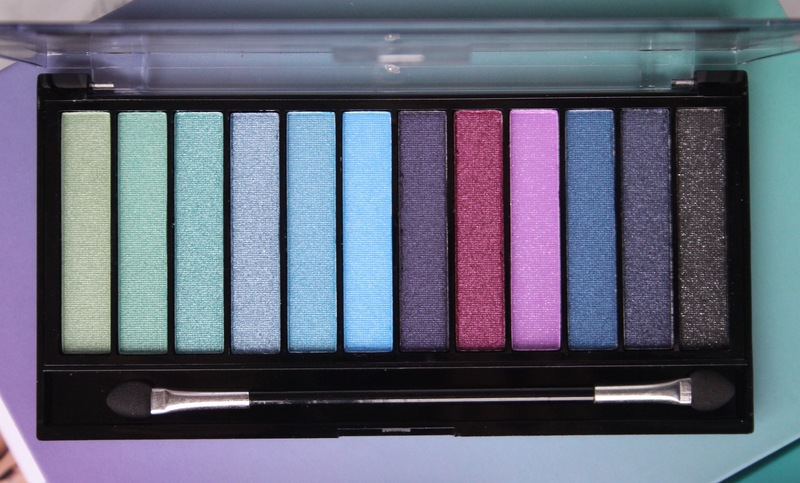 I’m not very daring with my makeup but I’ll be using this palette to experiment with a few different looks. I’ll either come out the other side unscathed or looking like a clown. Worth the gamble if you ask me. It completely fits the theme of the box and if you’re really in to your cosmetics I imagine you were over the moon. 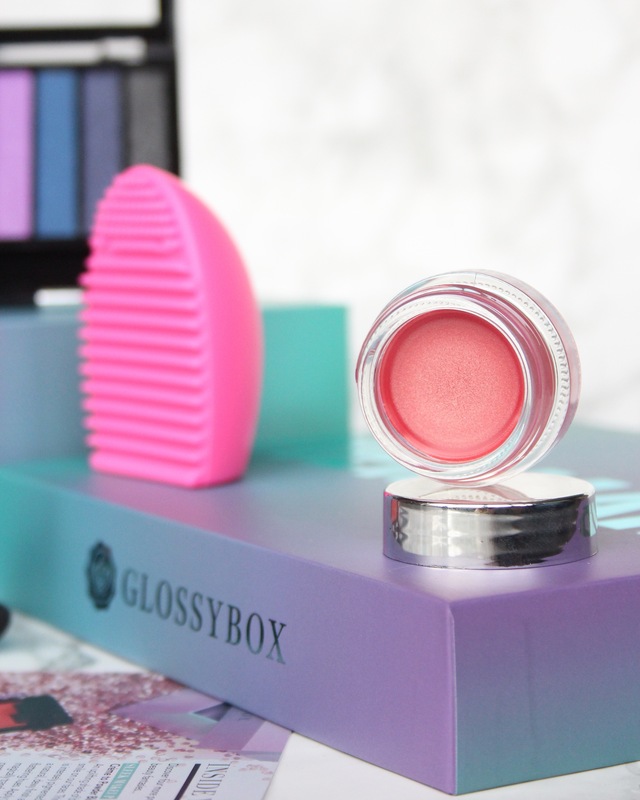 I love the packaging and the fact that it is a creme to powder blush but the pigmentation is a bit too strong for me. It might be because it’s almost Winter and I’m deathly pale so I’ll be taking this on holiday with me in January so that I can try it out on tanned skin. I’m not ready to accept that we can’t be friends yet. My brows have been the talking point of many a post on my blog. The 90’s eyebrow trends ruined them, Cara Delevingne revived them and products like this perfect them! The colour is slightly darker than what I would normally use but it’s workable. 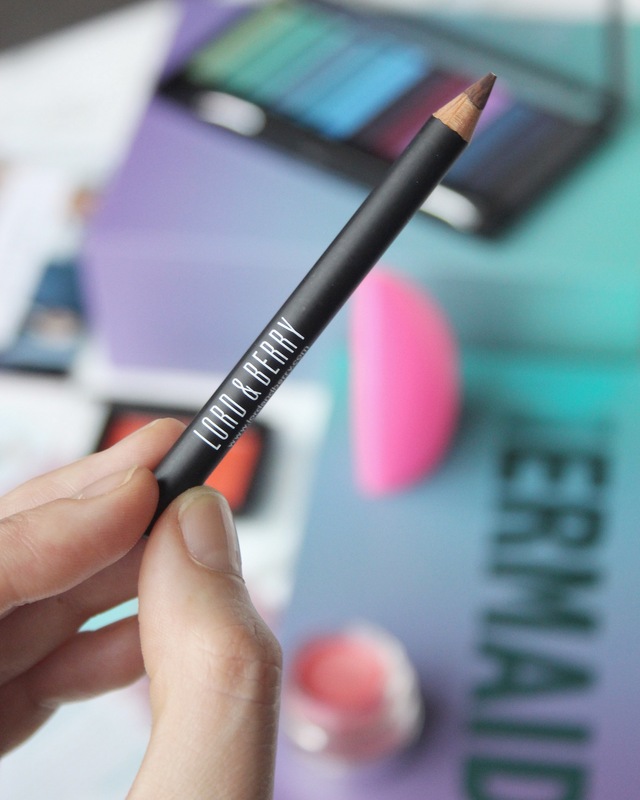 I love a pencil as it’s a little more accurate for application purposes than a brush; in my opinion. Who doesn’t love a multi-purpose cream. I love the colour on this and have used it on my lips and cheeks. You can use it as an eyeshadow too but I’ve not been brave enough to give it a go. It’s got a really nice shimmer effect on the skin and offers a more natural look on my lips which I love. I pop a clear gloss over my lips and I’m good to go. Eat your heart out Vogue! That’s my round up of the October box. 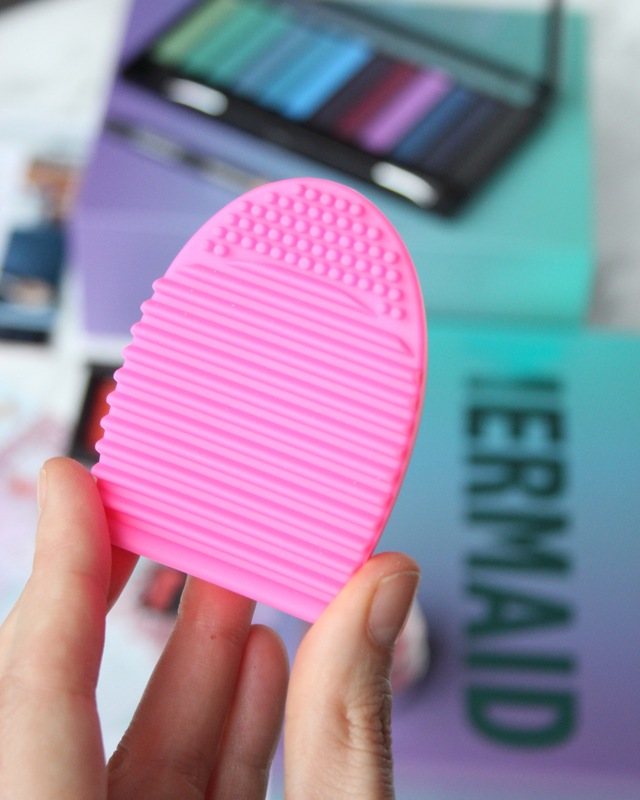 Did you make waves as a Mermaid or were you a Unicorn? 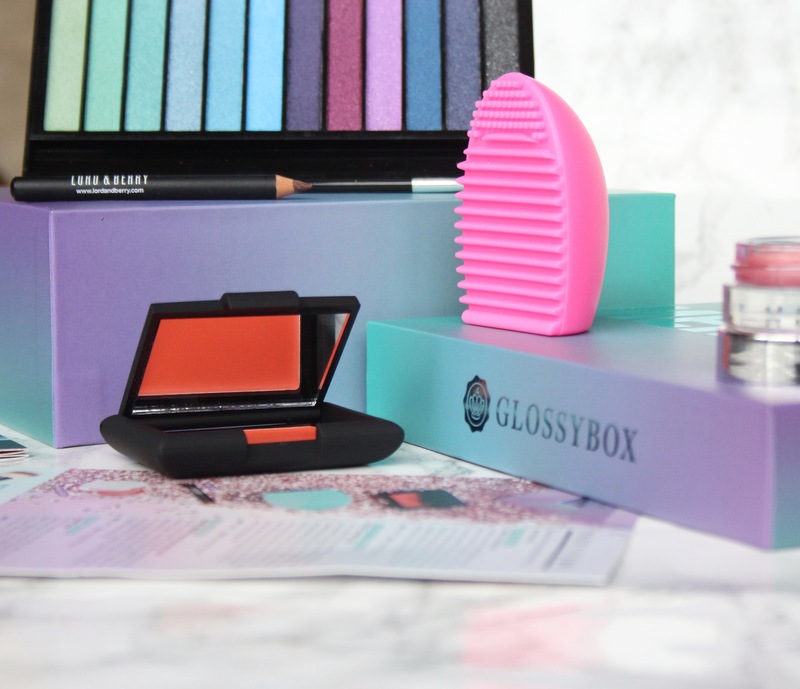 I love Glossybox. I started getting them monthly when they first arrived to the USA but after 4 years I decided to stop because I just wasnt using everything quickly enough and I ended up having a HUGE stash of product. Which sounds like heaven but nothing was getting used. So I stopped my subscription YEARS ago and am still using product from my boxes haha I love it. But I am now finishing up the last bit of it and am thinking of signing up again =) Thanks for this post! This box comes with a lot of great stuff. I’ve thought about signing up for a beauty box, but I just don’t want to pay for it each month and receive things I probably would never use. That looks like a fun box! I’ve gotten them in the past and loved it! I’m so bad at remembering to clean my brushes, too! Definitely need that brush cleansing egg!